What are the top selling Japanese cigarette brands? How many Japanese cigarette brands are there anyway? Let’s find out. Japan has 400 years long smoking history. Tobacco was introduced to Japan in the 16th century by Spanish and Portuguese sailors and tradesmen, around the same time tobacco was introduced to the rest of the world coming from America. During the Edo period (1603-1868) Japan has developed a serious smoking culture. In the Museum of Tobacco and Salt in Tokyo (founded by Japan Tobacco Inc.), visitors can meet these both significantly important everyday ingredients in ancient Japan’s life, and see, among other things, replicas of Edo period tobacco shops. Since then Japanese started growing their own tobacco, and producing their own cigarettes later on. One of the oldest cigarettes still being produced in Japan is the Golden Bat. They started being produced in 1906 and it is still a popular vintage cigarette without a filter. It is a rather cheap cigarette and not made of high-quality tobacco, so the taste might vary. Also, there has been a rumor that a certain amount of heroin or opium was added to Golden bat cigarettes during the 30s in order to make them more addictive. But nevertheless, it is a cigarette brand with a long tradition, interesting history and name. Also popular cigarette brands in Japan are Sakura and Caster, and others you will see further down on the list. Japan has once been a country of heavy smokers, but now strict laws and high cigarette prices are lowering the figure. Being aware of the bad impact of cigarettes on health, speaking ow which take a look at our article on Top 10 Ingredients in Cigarettes that are Harmful, the Japanese government has made some restrictions and prohibitions lately in order to lower the number of active smokers. The success of the restrictions can be seen in the fact that in 2002 49% of the male population were smokers compared to 36% in 2010, and up to these days the figure continues to drop being below 30%. Popular cigarette vending machines have restricted time of dispensing cigarettes between 11 pm and 5 am (but you can buy them in stores). That is also the only time when cigarette advertising is allowed. Although laws and restrictions vary regionally in Japan, smoking outdoor outside marked areas is strictly prohibited. It maybe doesn’t seem so, but Japan plays a great role in world’s tobacco production and market. Japan is in the 3rd place of tobacco world market shares (15,8%), and takes the 5th place of tobacco volume consumption, just behind China, Russia, US, and Indonesia. Japan Tobacco Inc. is also one of the leading tobacco producing companies (along with Philip Morris International Inc., British American Tobacco Plc. and Imperial Brands Plc.). Japan Tobacco Inc. exports to over 120 countries. Also, apart from factories located in Japan (there are 4 cigarette manufacturing factories and one tobacco-related factory), Japan Tobacco Inc. has also established factories world widely. 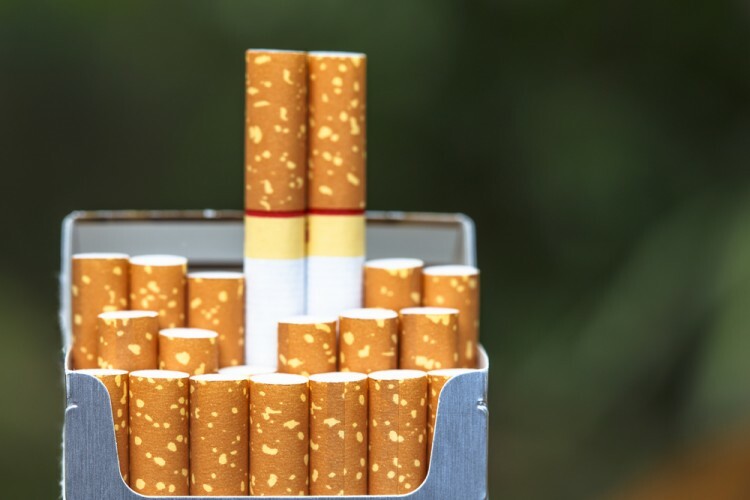 Tobacco manufacturing factories have been established in over 30 countries among which Switzerland, Germany, Russia, Canada, Romania, Serbia, Ukraine, Kazakhstan, Egypt, Malaysia, Taiwan and many more, and tobacco producing factories in USA, Brazil, Malawi, and Russia. For the top selling Japanese cigarette brands we gained information from Japan Tobacco Annual Report Fact Sheet for 2016. Although Japan Tobacco is producing cigarettes of other brands as well, namely American Spirit, Marlboro, Winston, LD, Sobranie, we will be concentrating here only on uniquely Japanese cigarette brands.